It is not easy to become a Sommelier. What exactly is a Sommelier's education? What are the requirements to call yourself an official sommelier? Ever wonder how to become a sommelier? First and foremost, there is no cut and dry education pattern that everyone must go through. It's not like getting a college degree where you know exactly how many units you need to take and in which study areas to take them. It's just not that simple. Work along with the executive chef to pair menu items with wines that will best complement each particular food menu item. Aside from that, the sommelier is also usually responsible for training the other restaurant staff in some of the wine basics or other types of wine knowledge. So how does one go about becoming a sommelier? What is involved in a Sommelier's education? Well, again, there is no straightforward answer, but there are popular paths that people take to become one. When becoming a sommelier it is helpful to have a mentor-someone who is a sommelier or restaurant wine professional already. 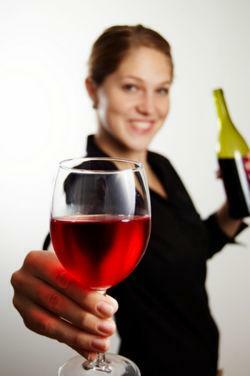 By shadowing and watching a sommelier in action you can get a true feel for what is required of the job. There is really no substitute for gaining first-hand knowledge this way. Besides working with a sommelier, there are three education tracks to go on to gain better overall wine knowledge. In the wine industry, there are really only three truly recognized wine education systems that best prepare you for being a sommelier. There are 4 levels of this certification, with the passing of the last level entitling you the moniker of "MS"-meaning Master Sommelier. This is truly a prestigious achievement. There are not very many people who are able to call themselves a Master Sommelier. The second certification to choose from is called the Institute of Masters of Wine. Like the Guild of Master Sommeliers, the Institute has many levels that take much study to pass. If you pass all of the levels, you get to call yourself an "MW"-meaning Master of Wine. Both of these organizations were founded in Great Britain and have a foundation in tradition and honor. Finally, the third organization is called the WSET-Wine and Spirits Education Trust. There are many levels to this certification as well, with the final level called "Diploma" or "Honours Diploma". Well…it's not easy to pass any of these organization's top certification levels. Hours and hours of study, tasting, memorizing and practicing are required to have a chance at passing and becoming a true wine master. For example, for the Master Sommelier level (final level) you have to serve wine perfectly, answer tough questions thrown at you by other Master Sommeliers who you are serving, and be able to pass a wine tasting test as well as a written test. All these tests are very hard, and the tasting test requires that you blind taste a flight of wines and name the varietal, region, and vintage. It's rare if someone can pass all three levels at one time. To pass all levels of these tests is not a cheap undertaking either-these things take time, lots of wine to practice tasting with and thousands of dollars to invest. Passing the final level of any of these certifications gives you a status that is automatically recognized in the professional wine world, and can give you employment at the best restaurants around the world. But again, this is not a fast, easy, or cheap thing to do-it takes years of effort and an open wallet. But the payoff is big. However you choose to become a sommelier, remember that you embark upon an honorable path full of tradition. It takes devotion and passion, along with practice and apprenticing. In the end, perhaps you will be among the few who can call themselves true wine masters!